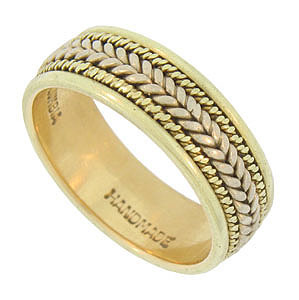 This exceptional 14K bi-color mens wedding band features a yellow gold band with deep set braids of yellow and white gold. 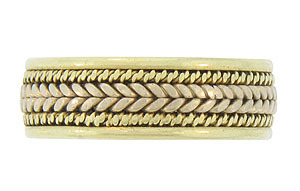 The intricately twisted gold encircles the wedding rings face and is framed by smoothly polished edges. The interior is marked "Columbia". 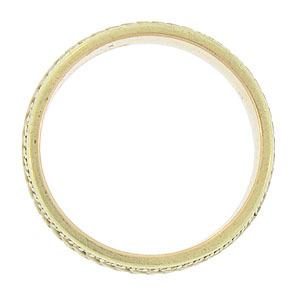 This handsome wedding ring is handmade and measures 6.26 mm in width. Circa: 1970. Size 7. We cannot re-size.